As Ohio goes, so goes the Nation. The Buckeye state is a critical battleground state with 18 electoral votes. Every four years Ohio, as the standard bearer for the country's temperature, takes center on the presidential stage -- and, while other battleground states are being swept away in the blue wave of 2016 -- Ohio has stood firm. Not since JFK has a candidate won the Presidency without winning Ohio - which delivered a 3% margin of victory to the last four. In 2012 the voter performance of Ohio women reflected that of women nationwide @ 53%, and for Obama 55%-45% over Romney. As with the national election, the key to Ohio itself may be determined by the women of the state -- and in more ways than one. With a Republican supermajority in the legislature, and John Kasich in the Governor's mansion, Ohio women have endured some of the most extreme legislative assaults in the country -- including 16 new abortion restrictions over the last five years. At the forefront of both the state and national battles has been the Ohio House Democratic Women's Caucus, comprised of 14 (of 34) Dem legislators to the Republican's 65. Three Caucus members serve on the House leadership team of Minority Leader Fred Strahorn. Rep Nickie Antonio is the state's first openly LGBTQ elected to hold a statutory leadership position, and Rep Denise Driehaus is Ranking Member of the Finance Committee, the first woman to hold that position in the 213-year history of the Ohio House. Caucus Chair and army veteran Teresa Fedor co-wrote, with Wendy Davis, Lucy Flores and Judy Nicastro, a Friend-of-the-court brief in the Woman's Health v. Hellerstadt June Supreme Court case that ruled in favor of unrestricted abortion services. While minority in numbers, they speak for a majority on the issues. A Sept 22-23 survey by Public Policy Polling of likely Ohio voters shows overwhelmingly support for paid maternity leave (79%) and equal pay (74%). 63% would be less likely to support a presidential candidate who "wants to ban abortion in all circumstances." "I come from Toledo. So did my parents and my grandparents. 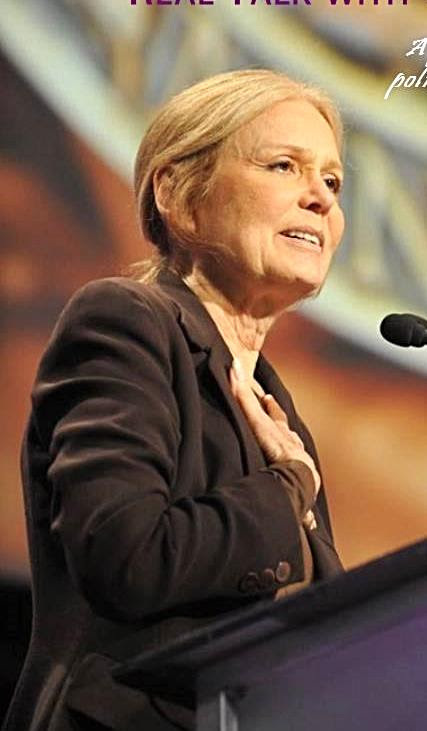 Steinem's appeal: "All you and I have to do is put our money where our hearts and needs are -- send a contribution of $1,000, $500, $250 -- whatever you can do. I promise you that every single dollar will make a difference, from our State House to the White House." DemDaily: The 2020 Presidential Calendar!